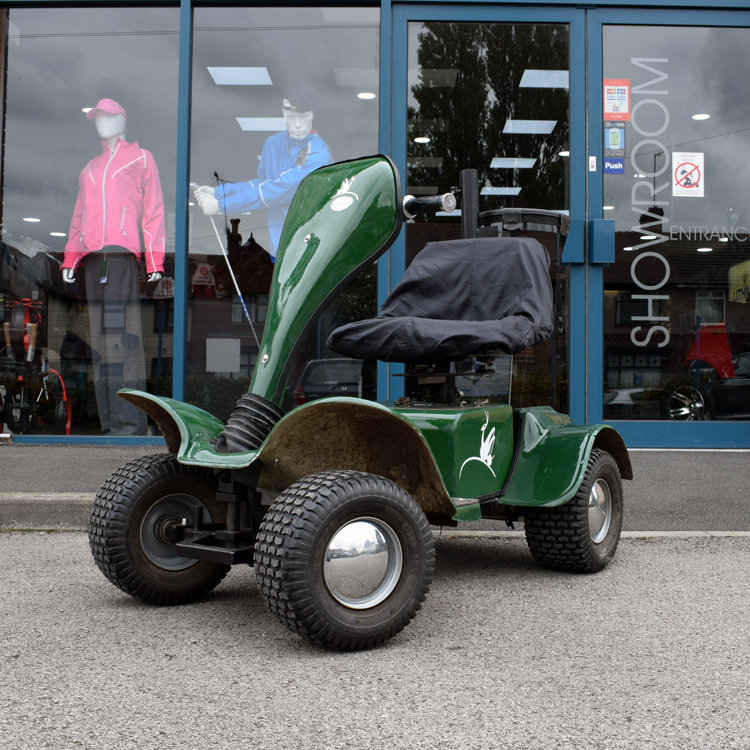 All our pre-owned buggies are tested thoroughly in our workshop and graded through 1 - 10 for condition. Grade 10 is excellent condition with the usual signs of use, grade 1 is mechanically sound but obviously well used and of a certain age. This buggy is supplied with 2 x Brand new 80Ah Lead acid batteries. The buggy comes with a three months all parts and labour warranty unless clearly stated on specific buggies. The Grasshopper junior was designed to be easily transportable and will fit into most modern hatchback cars without dismantling (The buggy can be dismantled into easily lifted parts if required to enable it to be placed into most car boots). The Stylish Cobra Snake Head Tiller this design of tiller uniquely positions all the controls and indicator lights conveniently in front of the driver, allowing easy access to the power switch, fine speed control, forward reverse switch and battery charge indicator. All Pictures shown are not of the actual buggy you will receive, but are representative of the model, quality and standard. POWERHOUSE CART BAG AND UMBRELLA FOR DISPLAY PURPOSES ONLY. NOT INCLUDED.